Chapter2 Bikes is a pretty new brand, but with a pretty big depth of experience behind their line of road bikes that's now 3 deep - including models called the Tere (all-rounder), Huru (the climber) and the aerodynamic Rere - which means “to flow” in Maori, and is a nod to Mike Pryde's New Zealand heritage. Chapter2 is a sort of second coming for brand head Mike Pryde - who we first met here at PEZ a few years back when he launched the road cycling line of NeilPryde bikes. That's the same name from sailing fame, and also the name of his dad and original company founder. NeilPryde is one of the world's leading windsurfing brands, building masts of carbon fiber, and with an understanding and knowledge of wind, airflow and aerodynamics that few can match. 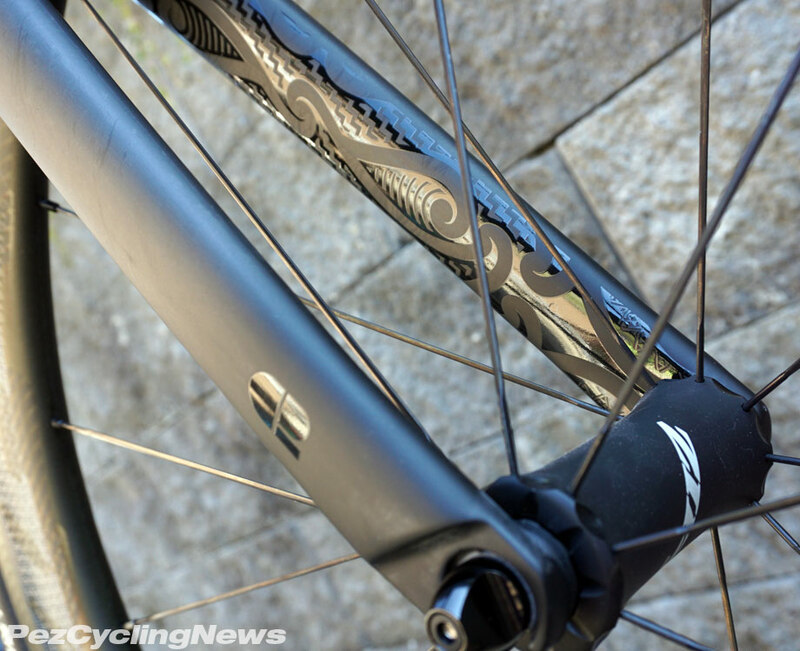 I reviewed their Alize here, and was impressed with their Kammtail designed tubes that were among the first it their kind seen on road bikes. 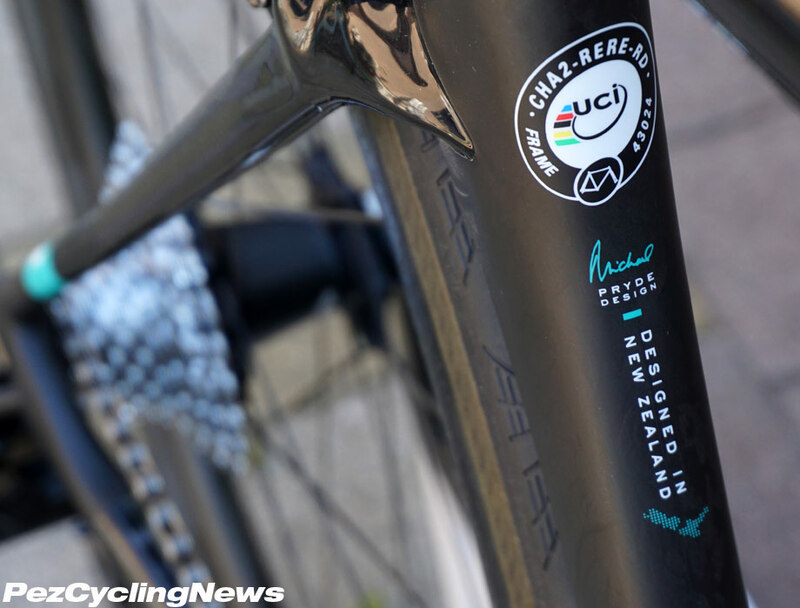 So while many people weren't sure what to make of a new bike brand coming from a sailing background, Mike Pryde's passion for road cycling and his family's knowledge of wind flow converged to grab a lot of attention from riders and media. You may have seen my 2 Minute build-up video of the Rere on the PEZ Youtube Channel here a few weeks back. 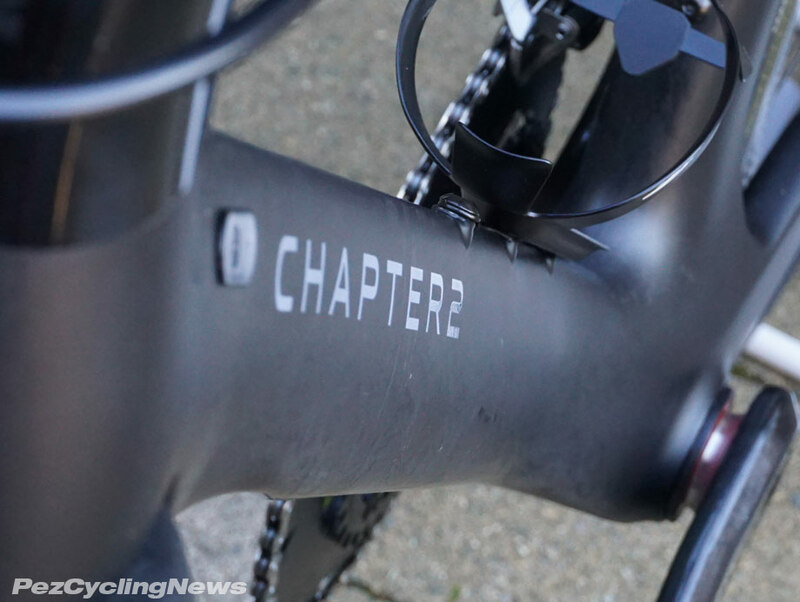 Fast forward and Mike has set up a new bike company separate from NeilPryde - aptly called Chapter2. Based out of New Zealand, close to their Asian manufacturing facilities, they've quickly gained a foot hold in the Eastern markets and are now turning their eyes on the West. 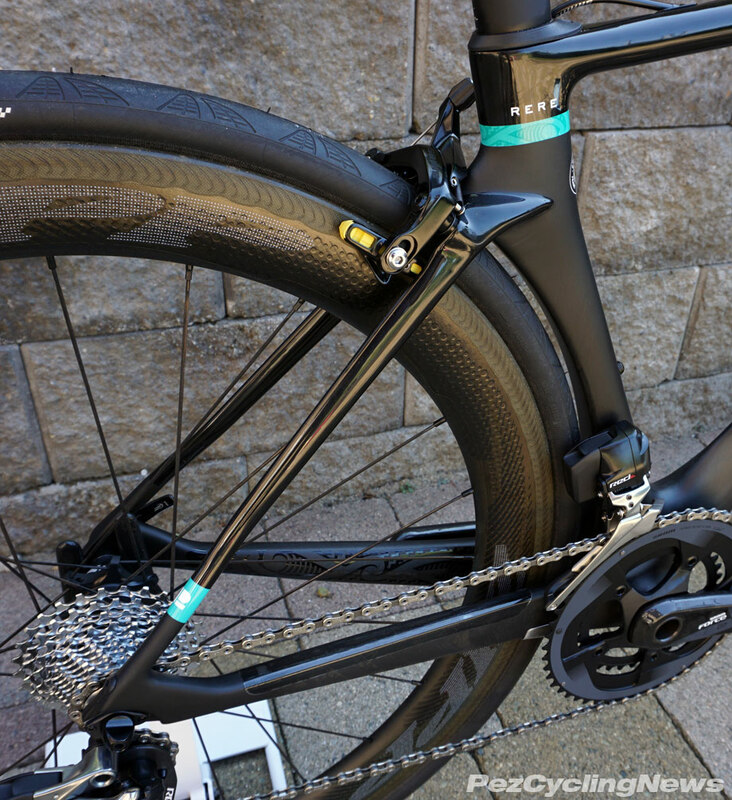 The bike designs are all new, and reflect a mix of the latest carbon fibre development, with proven designs done their own way, and adorned with some some cool details I haven't seen before. 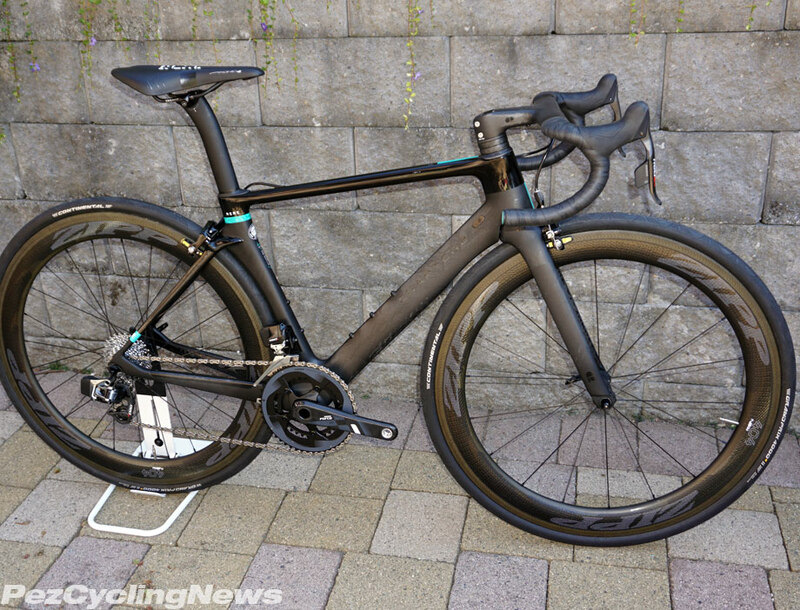 The Rere is their aero road bike - something we've come to expect as part of any serious and complete road bike line. 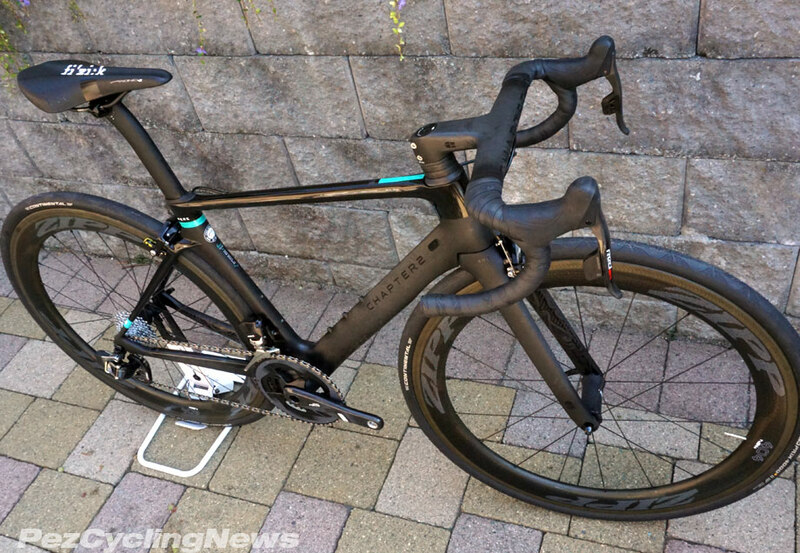 But while many aero road bikes are considered overly stiff, Mike's vision for the Rere was to break that "too stiff" mold. Carbon frame production has come a long way since the first carbon bikes swept dealer floors 10-15 years ago. Tube shapes, lay up designs, resins, and molding techniques have all evolved to the point where almost anything is possible. In this case - slippery-fast, light, and comfortable meet up in one package. My first impression was this one just looks fast. My second impression was learning that beauty is more than just skin deep. The most aerodynamic shape is like an airfoil - a smooth rounded leading edge with a long trailing section (often a 4:1 ratio) to cut through the air with the least amount of drag (assuming the wind is coming from directly in front). 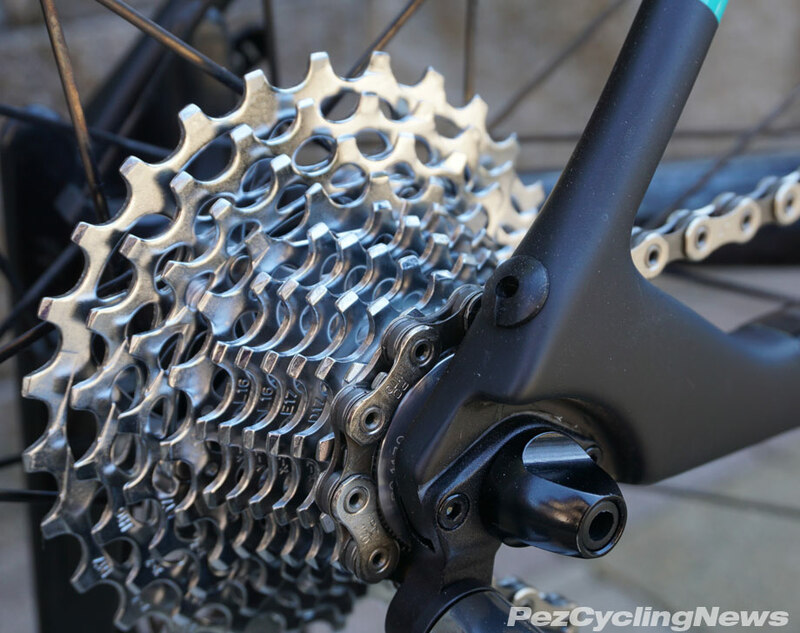 This has to be modified to suit a bike frame - but the same principles have been applied specifically for each tube on the Rere. The tapered design houses a 1.25" bottom head bearing and a 1.125 top bearing - big enough to anchor the frame against forces coming from the road through the fork, but allowing for a reduced surface to lower wind resistance and save a few grams of weight. 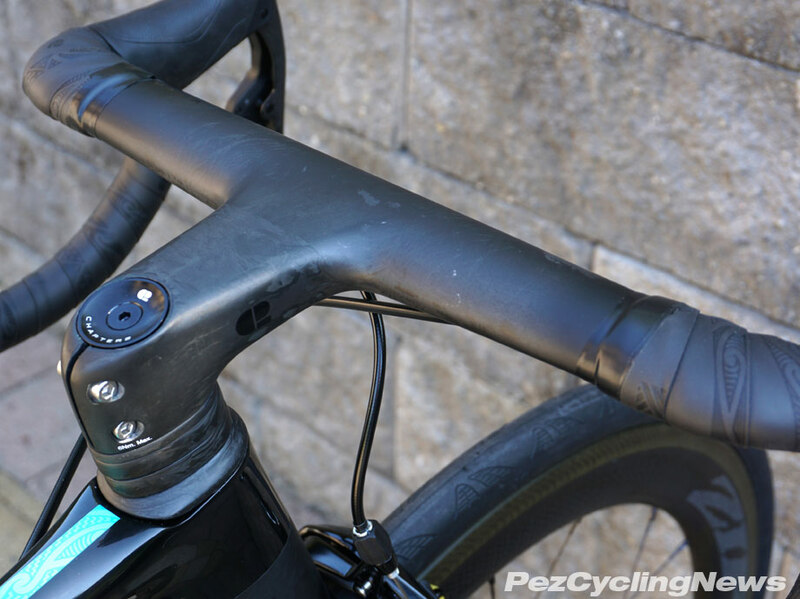 The side profile of the head tube reveals a much more airfoil shaping that's both functional - to reduce drag in a straight line, and structural - to control the amount of fore/aft flex at the steering end of the bike. Stiffness is enhanced with the addition of 3K carbon at the head tube and bottom bracket. 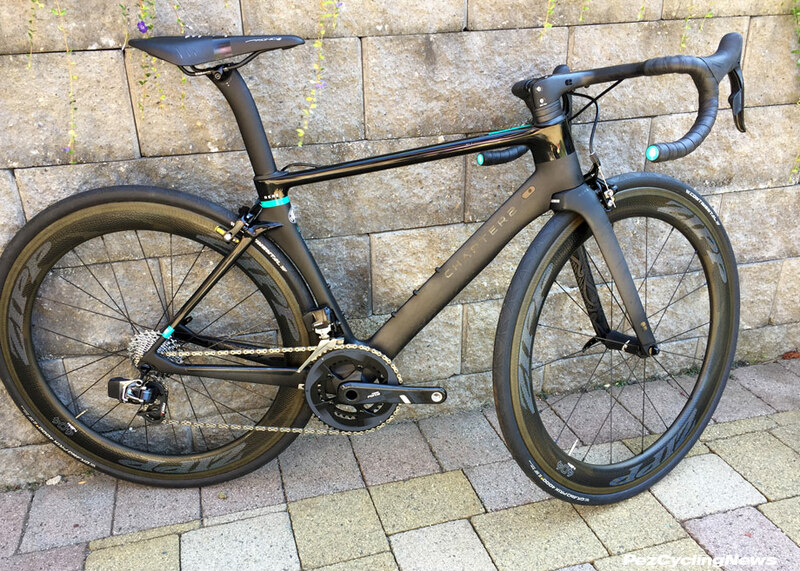 The aero shaping is most pronounced in the downtube, which shows up as the well recognized airfoil shape we'd expect on a bike like this. It's a deep section tube designed to smooth airflow as much as possible from the front wheel - note the slight indent to allow the front wheel to pass through. The deep section front fork should catch your eye with its slick graphics, but the beauty goes deeper than that nice skin. The blades are intentionally oval shaped to offer the best combo of stiffness / comfort, stability, and aerodynamics. Shaping at the tube connections maintains a smooth flow from most angles. 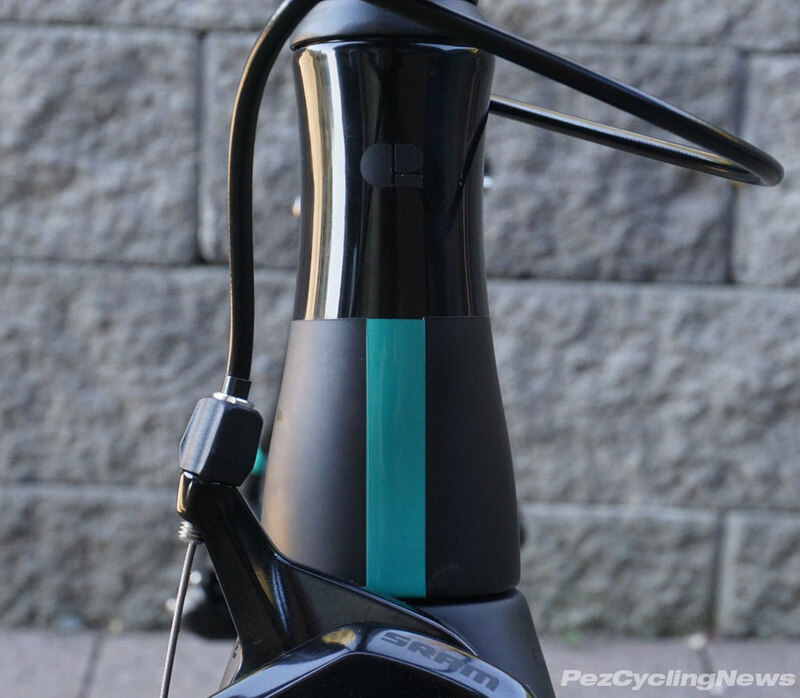 The top tube tapers inwards slightly a few centimeters behind the head tube, and the clean internal cable routing maintains a sleek overall look, and hides cables from interfering with airflow. 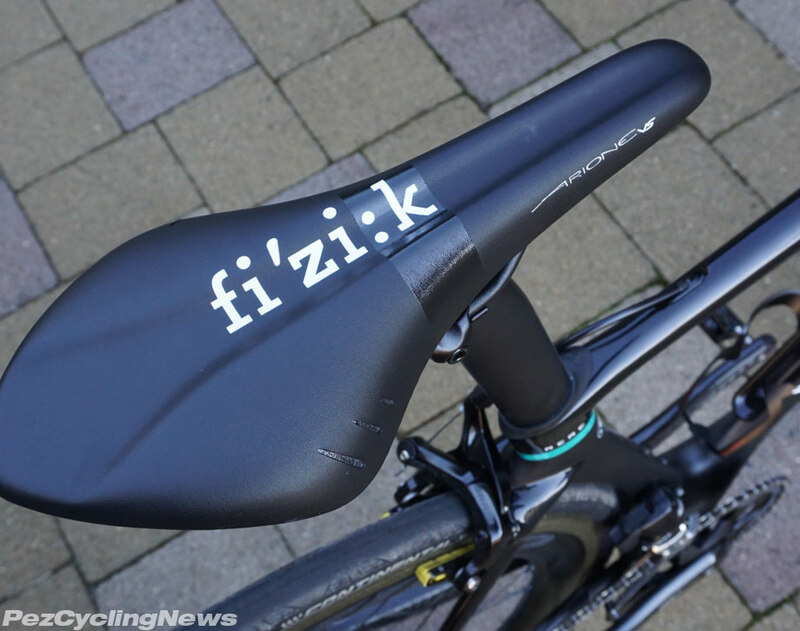 Underneath the Fizik Arione saddle, the seat post is smartly designed as an oval shape - which both allows very smooth air flow, and also the added bonus of being completely reversible. 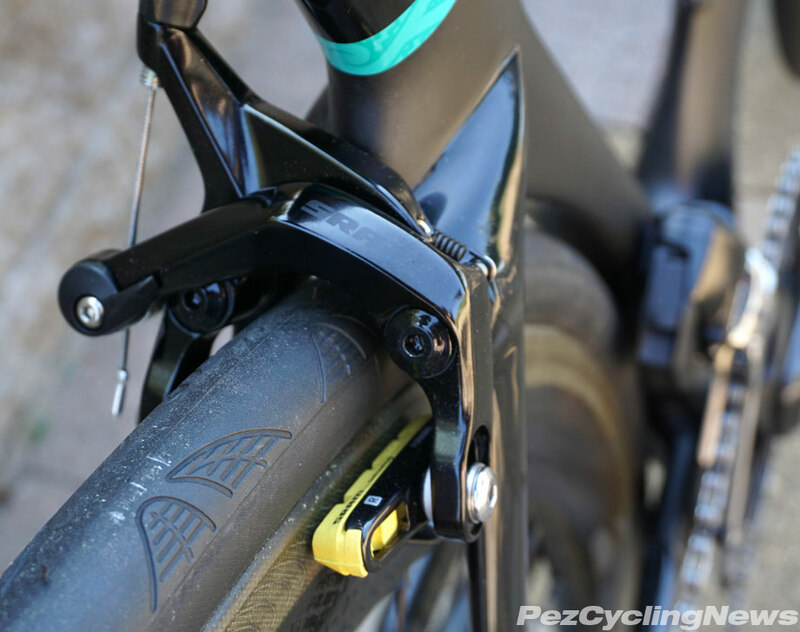 In case you want to set the bike up for time trials or triathlon, it allows for a full 34mm fore-aft adjustment of the rails position. 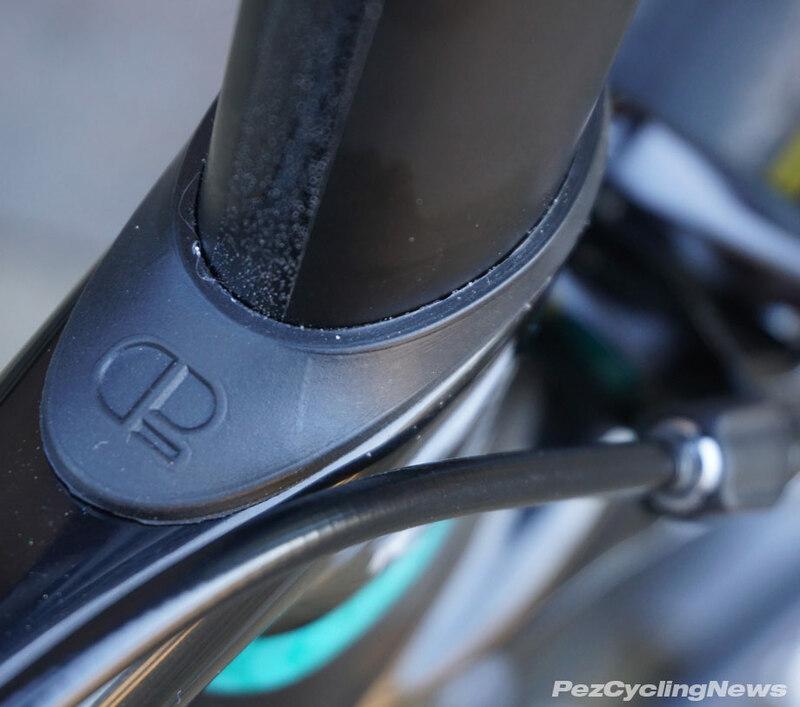 The polycarbonate cap that conceals the seat post binding mechanism has also been thought into the design - shaped to do double duty smoothing airflow. The seat tube is slickly designed, using the truncated Kammtail shape that very nicely integrates the rear wheel into the frame. Air flow coming from straight-on has nowhere to go but right past the wheel - in this case some very aero ZIPP 404 Carbon clinchers. The rear triangle is tight and compact. I asked Mike about choosing to position the seat stays several centimeters below the top of the seat tube. Of course this has become a standard in modern bike design, but you might not have guessed that the shorter seat stays (in addition to allowing a more comfortable flex of the seatpost), present a smaller surface area to catch wind. Less surface area = less drag. Even the transition section where the stays meet the seat tube have been shaped to slice through the air. Still on seat stays, they're also shaped as oval tubes, and start out tight against the top of the rear wheel, before bending outwards towards the rear axle - creating a nice balance between a low profile and holding the rear wheel securely in place. 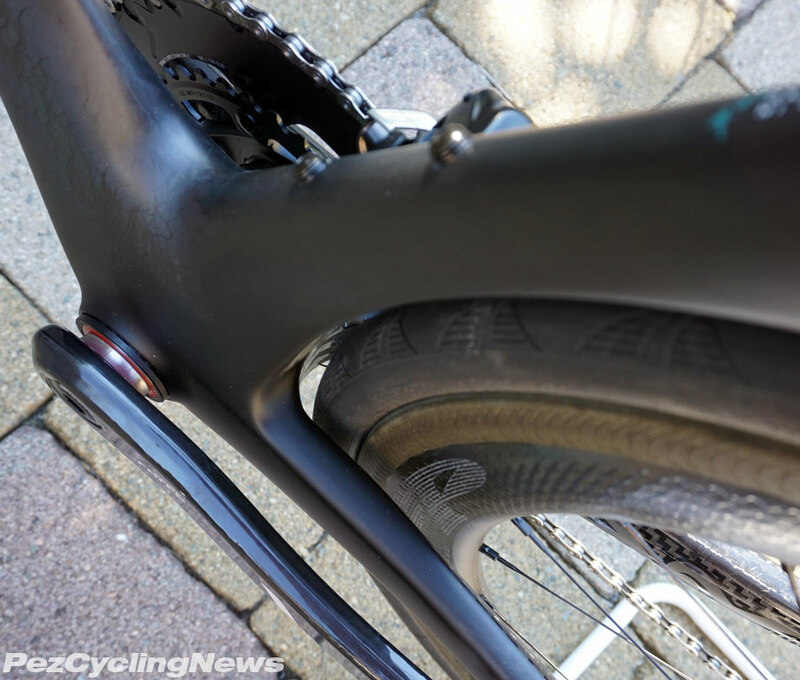 This view of the seat tube shows just how much the truncated Kammtail design protects the rear wheel from airflow, and also the mass of the bottom bracket. It holds a BB86 bottom bracket, and the wide platform and large section chainstays do a nice job of anchoring the drive center. And while you can't see it - layers of 3K carbon are added at the BB area (and headtube junction too) to increase stiffness. Brakes on this build are SRAM S-900 Direct Mount brakes. They offer plenty of stopping power, and Mike says tested better in the wind tunnel. While my tester ran SRAM wireless shifting, the frame is prepped for a cable activated drive train too - with routing holes neatly capped. Up in front - the controls are mounted to Chapter2's proprietary MANA handlebar. 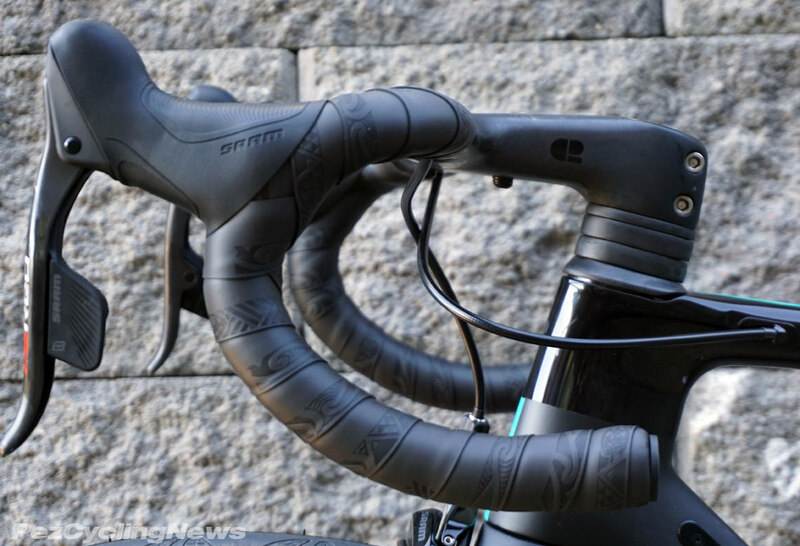 It's an aero-shaped one piece integrated handlebar & stem, that's a perfect mate to the Rere's aero shaping. The feel on the tops is wide and solid, and the curve fit comfortably into the palms of my hands. The drops are reasonably shallow - and were a comfortable reach for me (Size Small frame, bars 100mm stem, 42 width), and the drops curved as expected and fit my hands nicely. Cable routing is integrated as well, and there are two bolt holes underneath for mounting a variety of devices. It's offered in a several sizes - widths of 40, 42, and 44cm, and stem lengths of 80 - 120mm in 10mm steps, and fits all 1-1/8 steerer tubes so you can mount it to any bike. 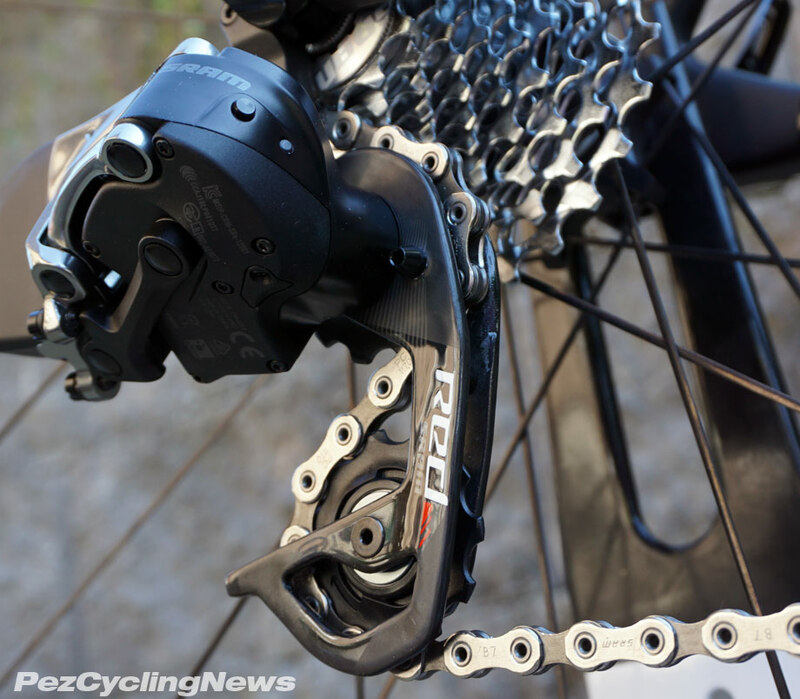 The Mana mounting kit for the Rere comes with specially shaped spacers for a fully integrated look and aero function. They can be purchased separately at their website for US$577.00 - which by the way is also a wealth of information. Riding this bike was a bit of a surprise for me. As much as I've come to know that regardless of shape or design, modern carbon fiber bikes can be tuned to a wide variety of ride specs. I admit to being as susceptible to the usual stereotypes for "aero road bike" ride as the next guy (ie: if it's aero it's stiff), but this bike delivered a comfort/ stiffness package unlike anything I've ridden. 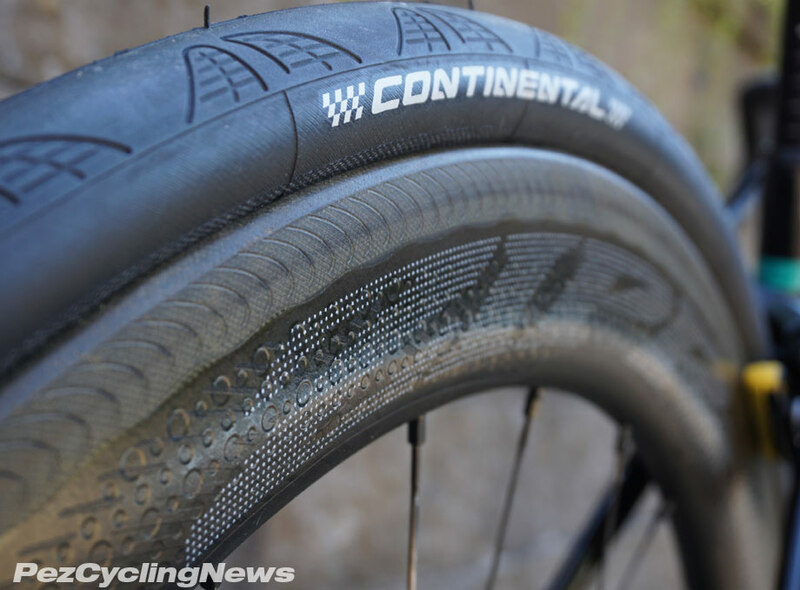 To qualify that - I'll also admit that I did not ride this with any other wheel tire combination, but I found that the 28mm Continental Grand Prix 5000 all-rounder rubbers were a very nice choice indeed. The added air volume in the 28 added plenty of cushion, but mated perfectly to the stiff Zipp 404's for a really fast feeling, but smooth ride. Frame fit overall is smaller than I expected, and next time I'd either go with a long stem, or possibly size up to a Medium frame. But another thoughtful thing about the Chapter2 website is their comprehensive size guide that compares each of the Chapter2 models with hundreds of other bike models - measurement by measurement. It's part of their plan to make the most of technology to bridge the gap so many consumers want filled between simple online ordering vs physically going to a shop for a hands-on fitting. 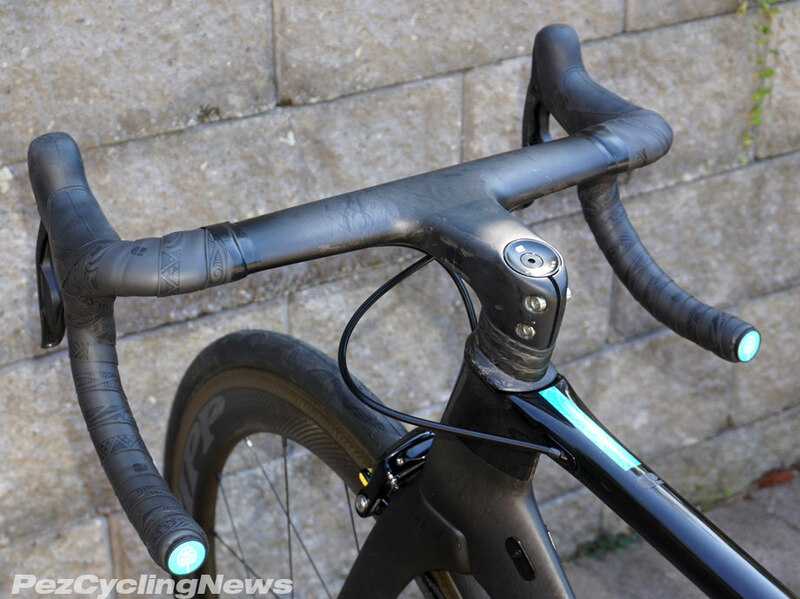 I was also initially concerned that the oval shaped seat tube would add to a stiff ride, but discovered that Chapter2 has engineered enough for/ aft flex into the back end (including the rear triangle & seat post) that being "too stiff" was never an issue. Up front is a very nice blend of ride feedback and comfort. 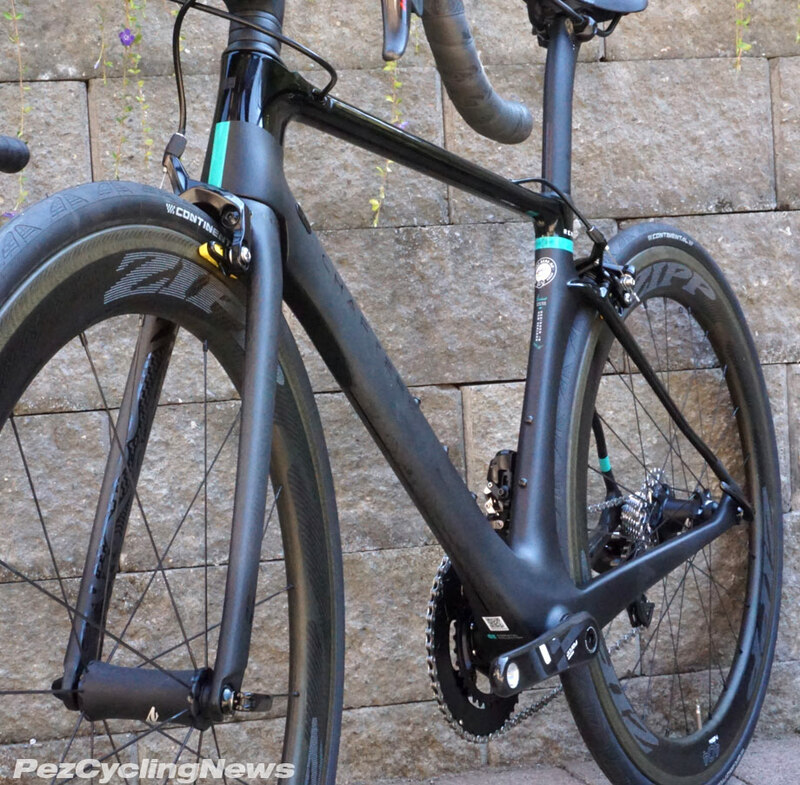 I'd say the feel epitomizes what experienced riders would expect from a competitive road bike - built for speed and fast rides, but tuneable to a wider variety of comfort levels with wheel and tire options. 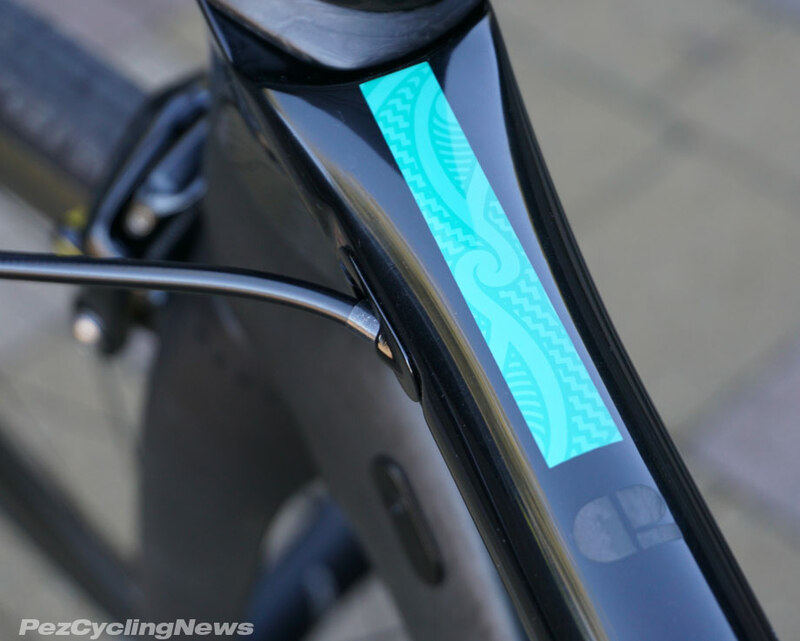 Probably my favorite aspect of the bike was the combo matte / gloss black finish, with the teal and Maori designed accents. No one else around has a bike like this, and if you're like me, that kinda uniqueness only adds to the ride - both in speed and enjoyment. 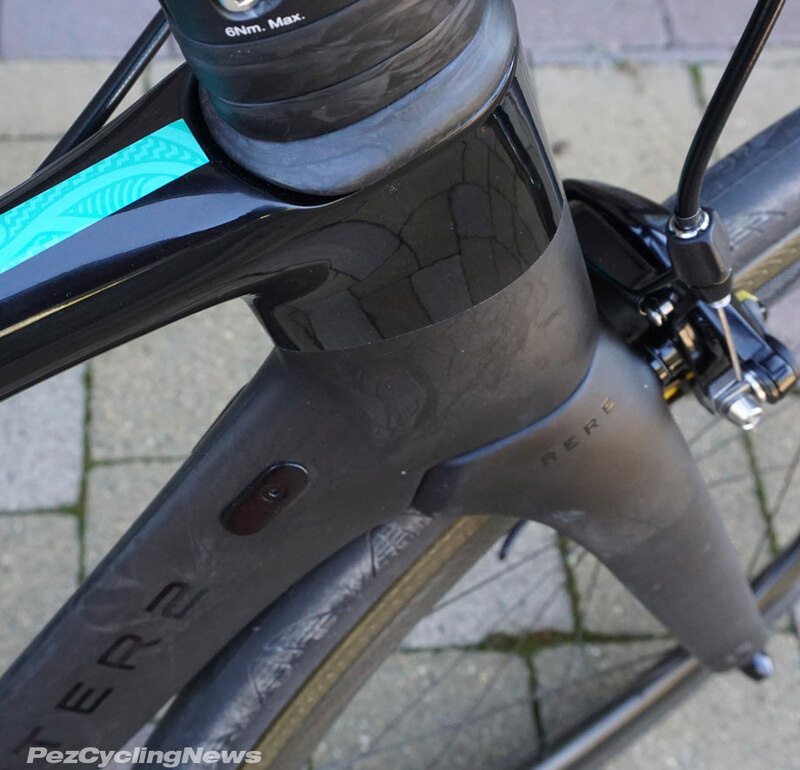 The name Rere is fitting also - both because of the airflow around the expertly shaped tubes, but also because of the way the bike feels. This build did have a certain flow to it that I liked a lot. While Chapter2 also offers models more geared to all-round riders and climbers, there's no reason you couldn't make this your go-to bike. Swap out the wheels for some light climbers and head for the hills. Overall it's a very nice package, with a top-notch finish, eye-catching tube shapes and graphics, and a fast and fun bike to ride. and a rim-brake model for US$2,699 for the frame/fork set, and 5 sizes from XS - XLarge. • See the Chapter2 website for size specs, more details and ordering. Chapter2 distributes their products in the US and Canada using an Omni-Channel system. Chapter2’s business model is set up to support the local IBDs while letting the end customer decide how they prefer to buy it. You can ask any of your local IBDs to order one for you, and they get a slice of the action, or you can also purchase it directly from Chapter2.